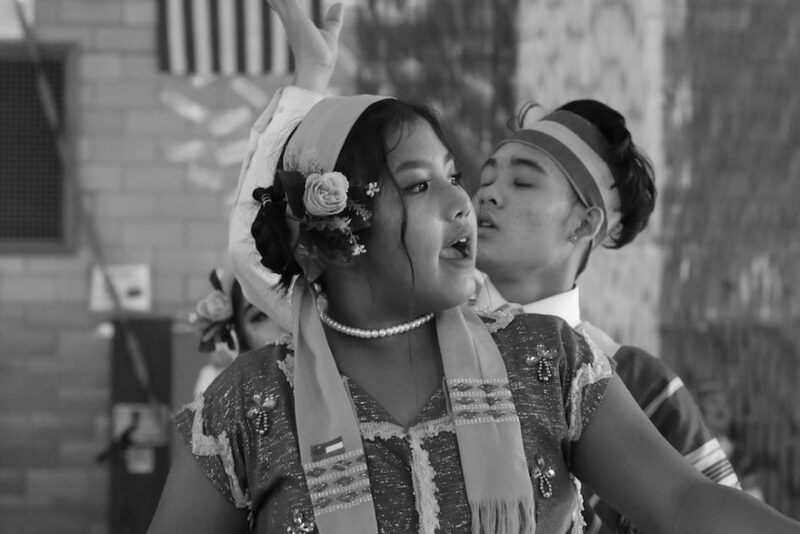 The Karen refugees sangs song of freedom and remembrance all day. It was a series of awesome performances, the power of the refugee experience was never more evident to me. 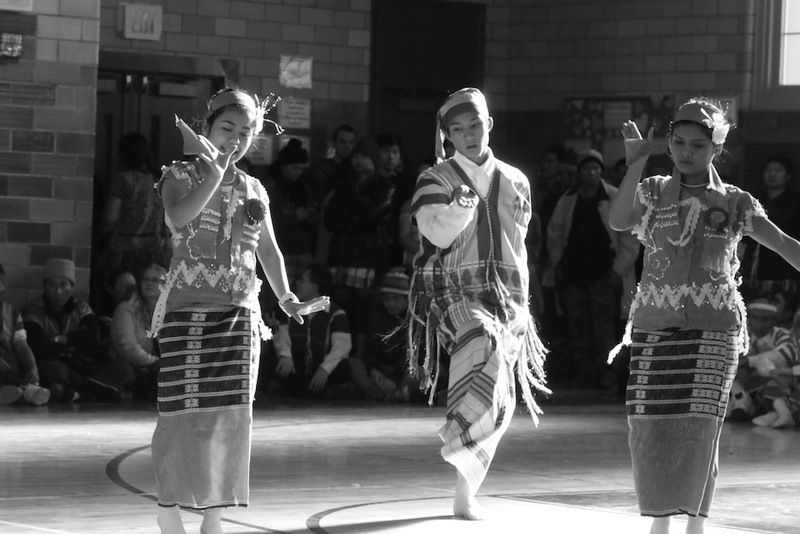 The Karen refugees danced all day long, grueling, elaborate beautiful and intensely choreographed dances. They were a beautiful testament to freedom and the richness of a diverse world. 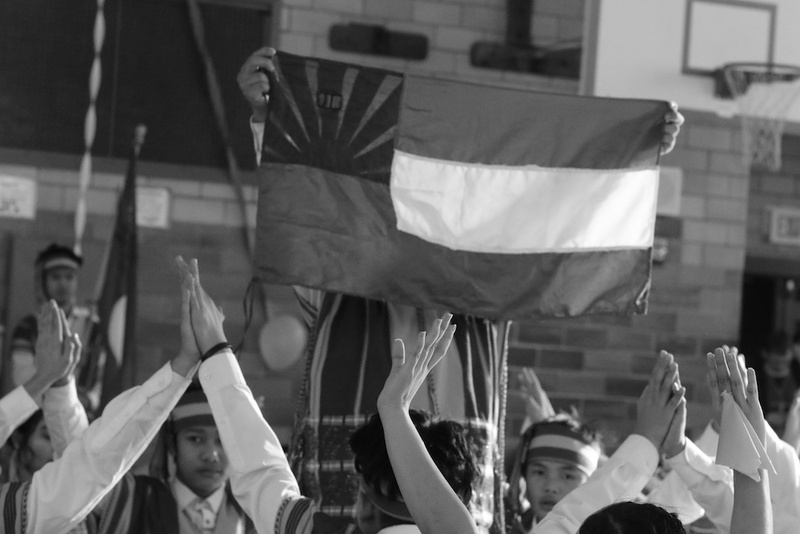 The Karen Refugee children from Burma honor the Karen flag, banned in their home country. These refugees are stirring and beautiful to watch. They work hard to join the flow of American life, they never forget what they escaped, or how fortunate they are to be here. They are no threat to us, they are a gift to our country. 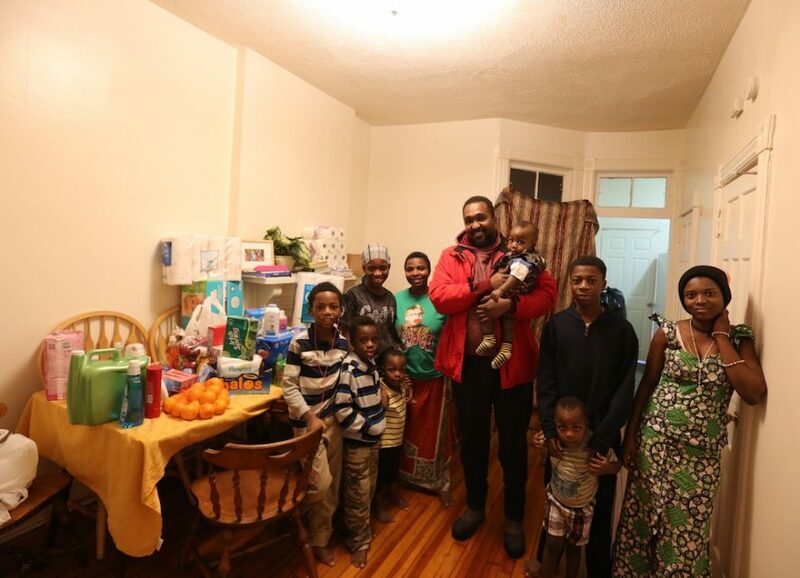 As many of you know, I have chosen to focus much, (not all) of my work with refugees on the soccer team of RISSE, the refugee and immigrant support organization centered in Albany, N.Y.
Ali, the founder, coach and guiding spirit of the people on the soccer team (and the coach of the new women’s basketball team taking shape) is my friend, my brother, my guide into this refugee world, a community in transition and need, and somewhat uncomfortably, in the spotlight. We met the soccer team today at the Karen Festival for Burmese refugees in Albany. Gabriel Garcia Marquez says you can learn much about the life of the refugees in the world by the amount of hostility and indifference they face, and the life of the refugee in America today is awash in both. They are lied about, denigrated, and exploited buy ruthless politicians. 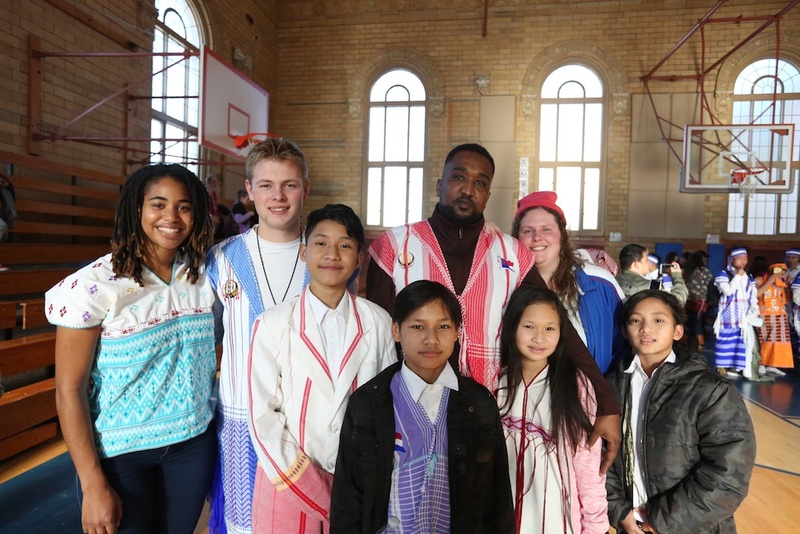 Ali, who was born in America and was raised in Egypt and the Sudan, has devoted his life to overseeing the soccer team, their physical and emotional and practical needs. He works tirelessly to drive them to games, skating, bowling and of course, soccer practice. He doesn’t ever want them wandering the streets with nothing to do, they always have something to do. At his behest, I am negotiating hard with the owner of an indoor soccer training facility so the RISSE soccer team has a place to practice over the winter. And here’s the drill, as the building owner explained to me. I am negotiating with Glen to guarantee the RISSE soccer kids practice time at his suburban facility indoors at least once a week. We have been working to make sure these kids have good winter shoes, new uniforms, more than one or two pairs of pants, sweaters and jackets, tutoring if they need it. 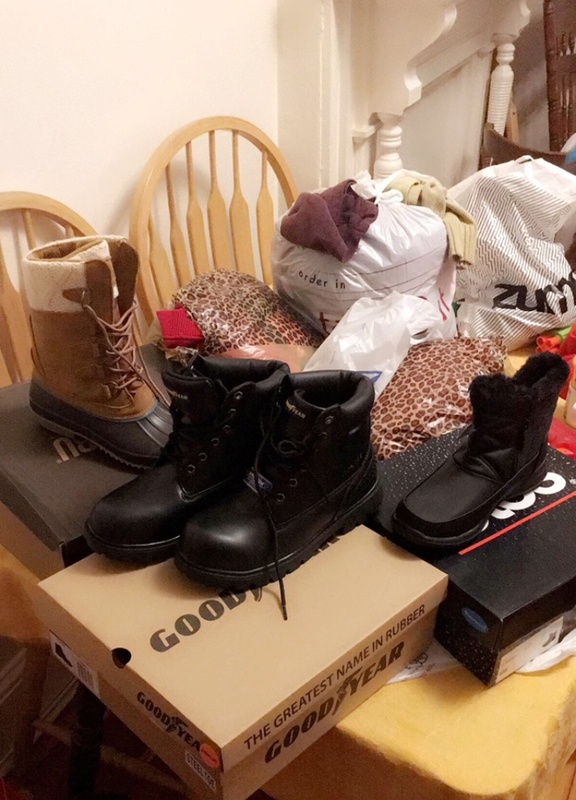 Ali visits their homes, and he and I are beginning a monthly program to deliver clothes and groceries to the soccer kids’ and their families. I’ve been to the soccer games and seen the powerhouse suburban kids they are up against, the sidelines are filled with cheering parents, and they have all the soccer balls they need to practice, along with some nuclear sneakers. Ali is determined that his “Bedlam Farm Warriors” will be competitive and disciplined, they just won second place in a big holiday league tournament, it was a big upset victory. Soccer is critical to these kids, the team is their real community right now. He tells them that what they are seeing and hearing is not the real America, the real America will resurface. And they will do anything for him, it is quite a beautiful thing to see. So Ali and I are now brothers from a different mother and I believe these children are much more than a soccer team, they are a symbol of where my country is and decides to go. I believe they must succeed in their struggle to become Americans, and survive this difficult period of transition and assimilation. Almost every one of them has a horror story that no child should ever have to tell. So I am determined to help them succeed. I am also committed, as is Ali and the Army Of Good, to offering them something other than hostility and indifference. After all, they could easily be me, or you or our kids. This weekend, we are planning to retreat together at Pompanuck Farm, I’ve gotten copies of the book “Outcasts United,” the story of a refugee soccer team in Georgia that transformed a town, and “McFarlane, USA,” the DVD movie telling the story of immigrant children who became famous sprinters. We’ll go to a movie, tell stories by the fire. Maria and I will cook and clean. We’ll have a lot to talk about, they are awfully nice people. We won’t quit on them. They need to succeed, for the sake of my soul, I think, and of my country. If you wish to help the RISSE soccer team, you can donate to the Refugee Fund, C/o Jon Katz, P.O. Box 205, Cambridge, N.Y., 12816, or contribute via Paypal, jon@bedlamfarm.com. Thanks for listening.